Meguiars Hyper-Wash is a concetrated car wash for frequent or professional detailing. Super foaming, long lasting car shampoo from Meguiars. One of the most satisfying experiences a car enthusiast can have is washing his or her vehicle. Watching that dirt just roll off the side panels amid thick white foam is one of the true joys of detailing. It’s a real shame when your suds quit before you’re finished washing. You probably find yourself using twice as much shampoo as the directions call for because you have to make more bubbles. Don’t bother! Instead, fill your wash bucket with an ounce of Meguiar’s Hyper-Wash and 5 gallons of water. The suds will last and last! 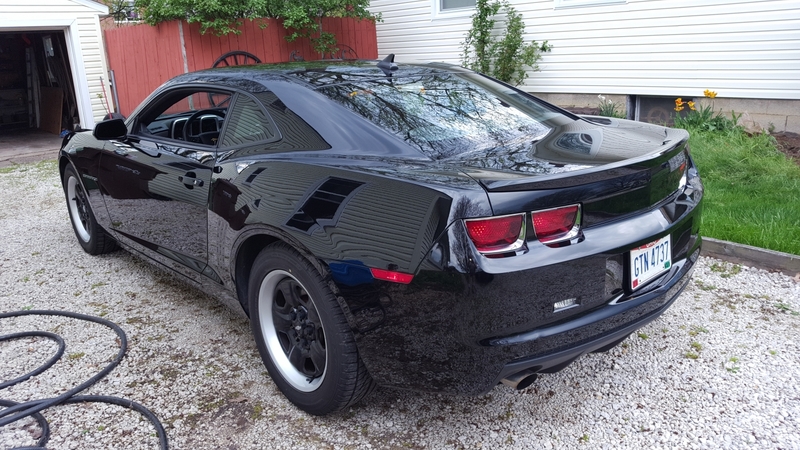 I just received my gallon of hyper-wash from FEDX and cracked the seal on it this morning to wash my Camaro. Nice suds, the mitt just glided over the surface of the car and it rinsed off clean, I could even feel in my drying microfiber that there was nothing left over, it (the cloth) felt "clean" every time I wrung it out. The wash didn't adversely affect the beading of my LSP at all like so many other car wash soaps do. Even in the areas that air dried before I could get to it, there was no water spotting and using only 2 capfulls of hyper-wash to 4-5 gallons of water means that this gallon is going to last forever. ProsVery little product needed to make your wash water, rinses clean - nothing left behind to affect your LSP's beading/sheeting properties. A gallon will last for years - even with as often as I wash my car. ConsI just wish I'd have read the review that said NOT to get the proportioner BEFORE I added one to my order ... the Hyper-Wash IS TOO THICK ... no matter how hard you squeeze the bottle, it won't flow into the proportioner. Measuring two capfulls is much easier. Only problem for me is that I have to use 3 1/2-4 oz of this product in my foam cannon to achieve thick foam. Much long than with other products. The wash works well, cleaning, suds, etc. and has a pleasant smell. I thought I would give this a try but I like Meguiars 62 wash much better. This is my go to soap for all my washes. The foam it has used in the foam cannon is just another level. I use meguirs profesional products for all my clients and this product is just a must have for my line-up. Saves me money and beats my excpectation every day.